The Maruti Ignis will soon get a mid-life update, which is expected to be launched in the second quarter of 2019. This information has been revealed by a few Nexa dealerships. Nexa is Maruti`s premium dealership chain that retails models like the Ignis, Baleno, Ciaz and S-Cross. The dealers have also claimed that production of the current model has stopped. Before the update is launched, Maruti Nexa dealerships are offering significant discounts to liquidate the unsold Ignis inventory. Maruti recently launched the 2019 Baleno facelift, and the Ignis is expected to get the same changes as its elder sibling. This will include mildly tweaked bumpers, new set of alloy wheels, and subtly updated interiors, along with Maruti`s updated SmartPlay touchscreen infotainment system. We also expect the 2019 Ignis facelift to get more features on the lower variants. This will include the LED projectors and DRLs being offered from the Delta variant itself. Mechanically, the 2019 Maruti Ignis facelift will be identical to the model it replaces. It will thus be powered by a 1.2-litre, four-cylinder petrol engine and a Fiat-sourced 1.3-litre, four-cylinder turbocharged diesel engine. Transmission duties will be handled by a 5-speed manual gearbox as standard, while an AMT will be available with both engine options on select trim levels. Maruti launched the Ignis in 2017, making it the most affordable car to be sold through the Nexa dealership chain. 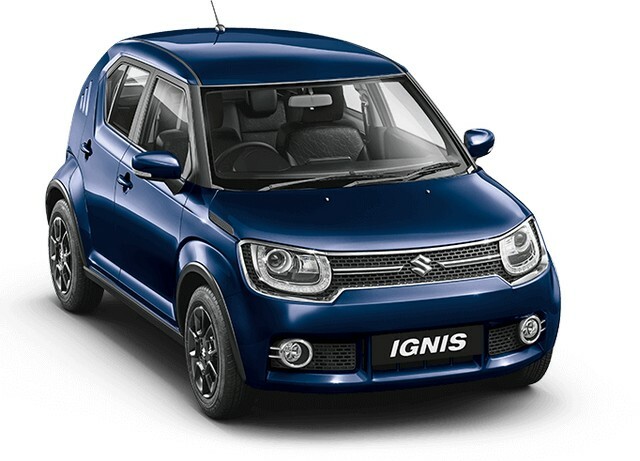 However, thanks to its quirky design, the Ignis failed to attract buyers to Nexa showrooms. The company currently sells just around 3,500 units of the Ignis every month, which isn’t a great number for a brand like Maruti Suzuki. The mid-life update is thus Maruti`s attempt of reviving sales of the Ignis by making it a more value for money package.